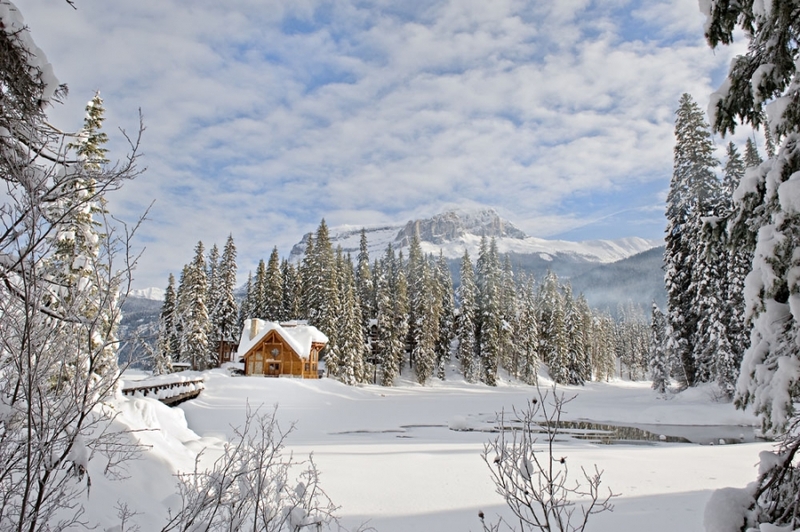 Winter in paradise to me, is Emerald Lake Lodge in Field, BC. 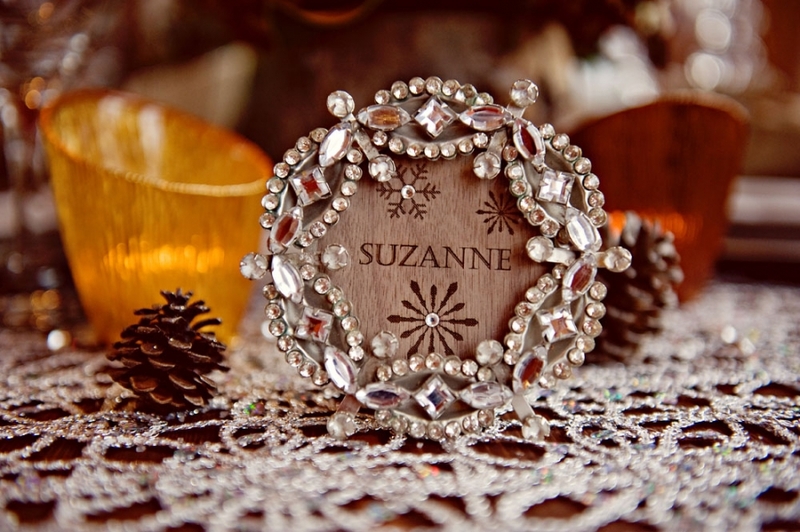 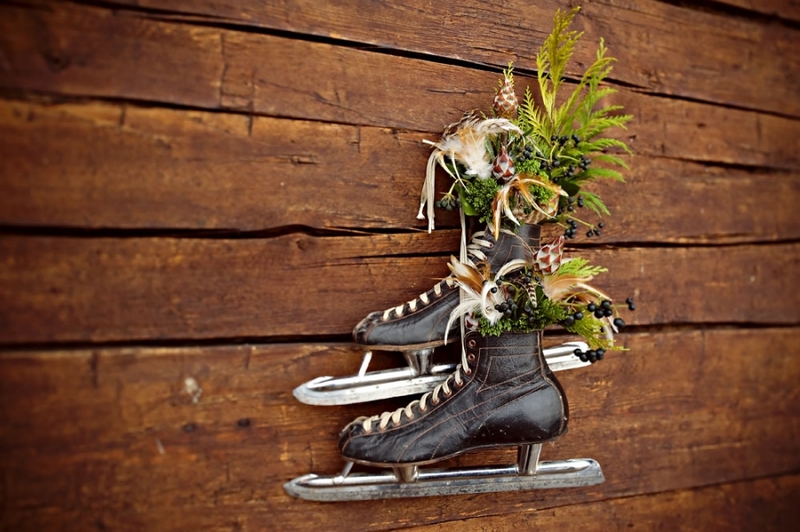 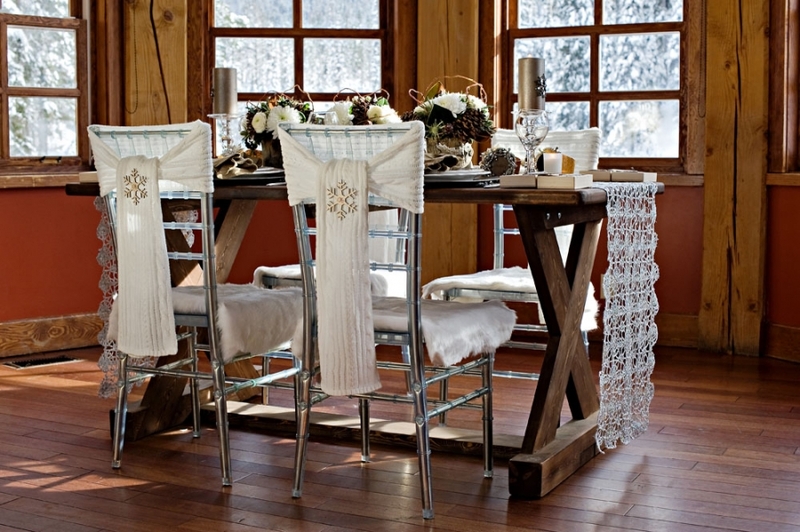 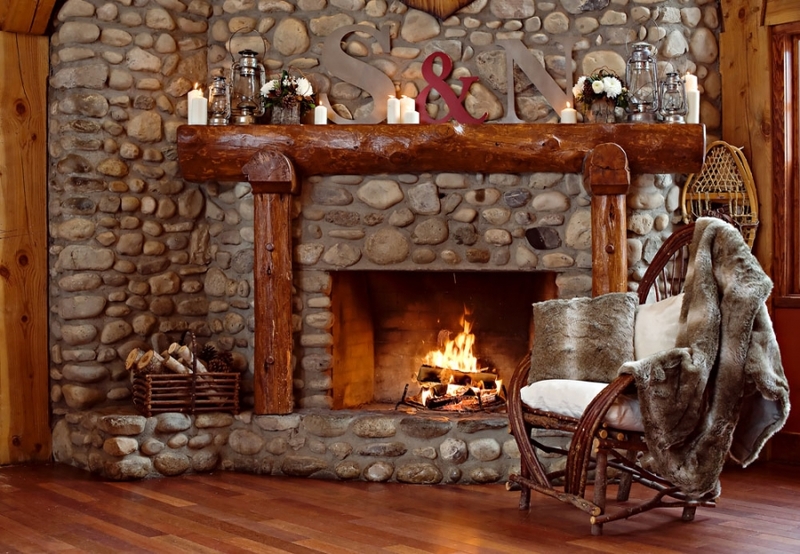 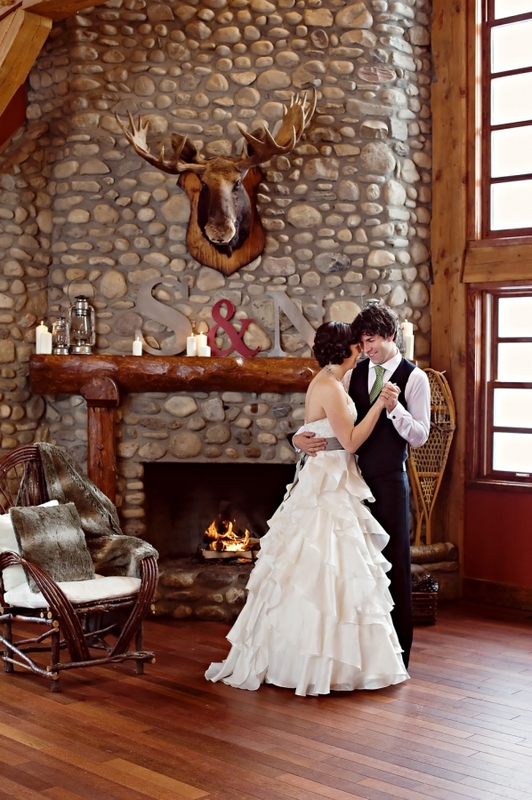 I created this idea for what I imagined as the perfect wedding set at this idyllic, mountain lodge. 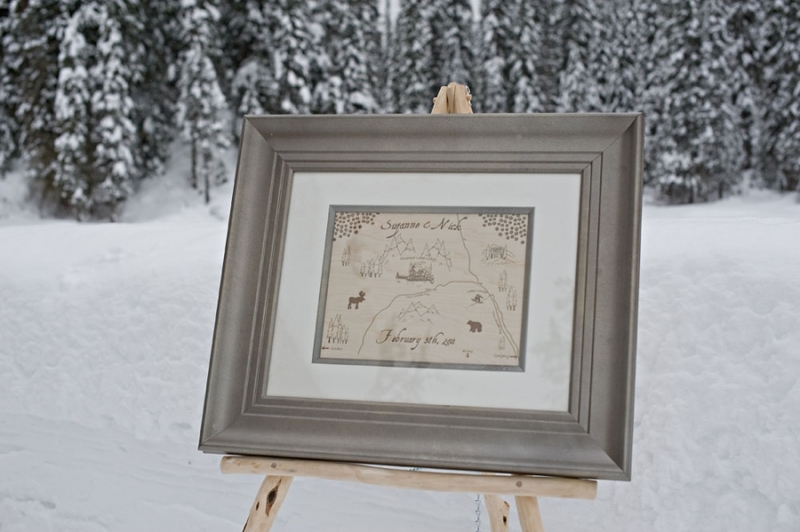 The idea started as my booth for the 2011 Wedding Fair in Calgary, Alberta. 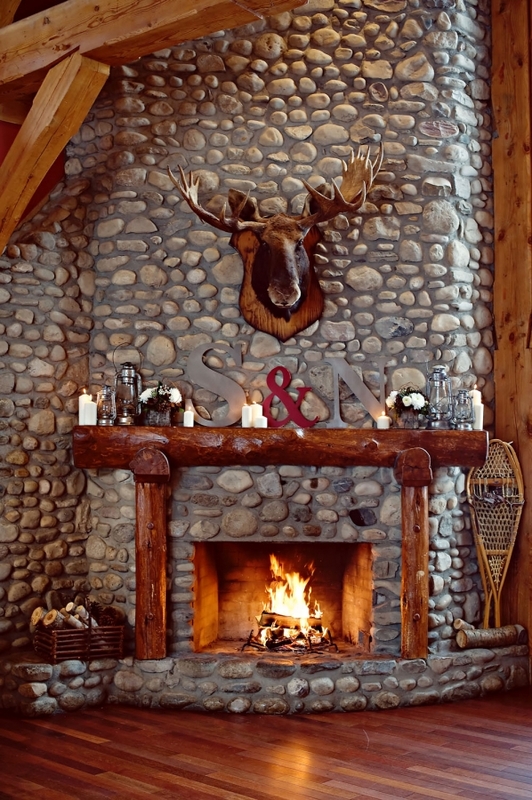 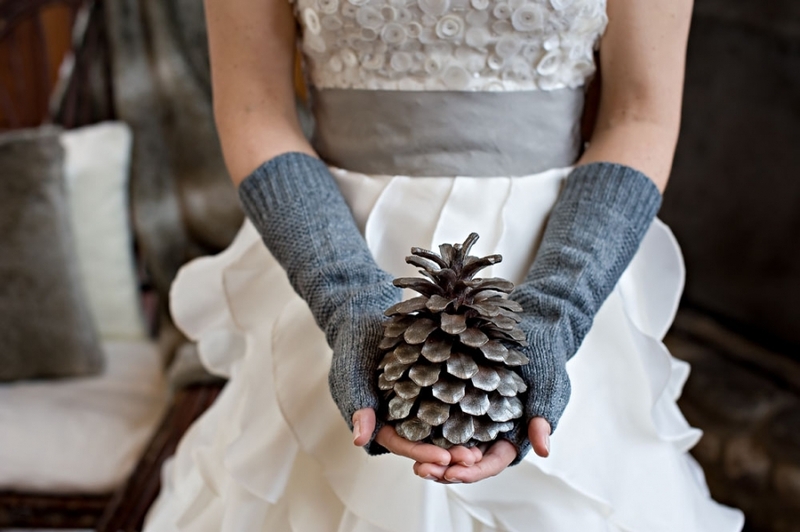 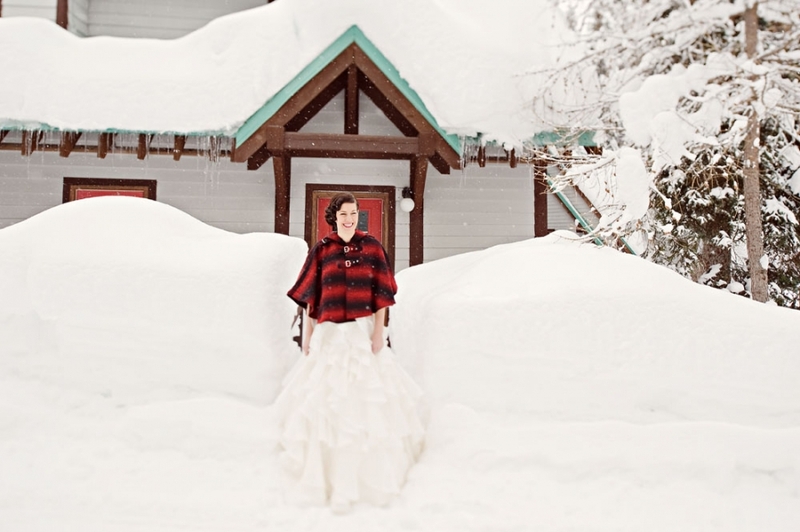 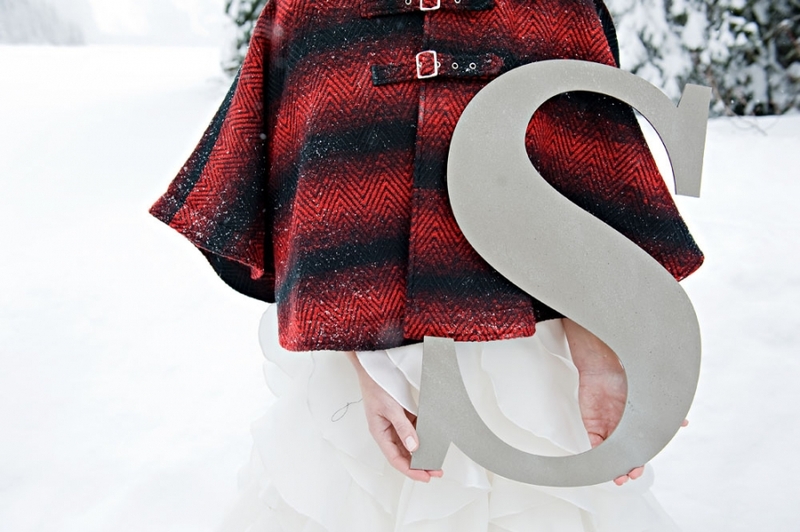 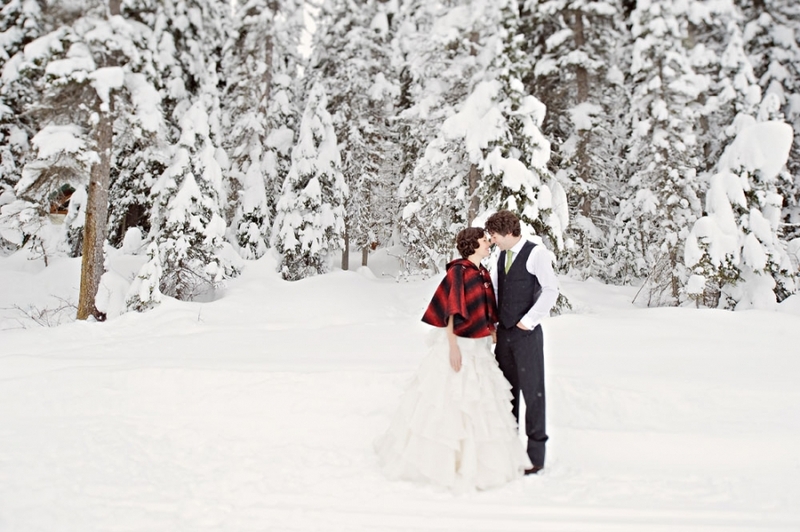 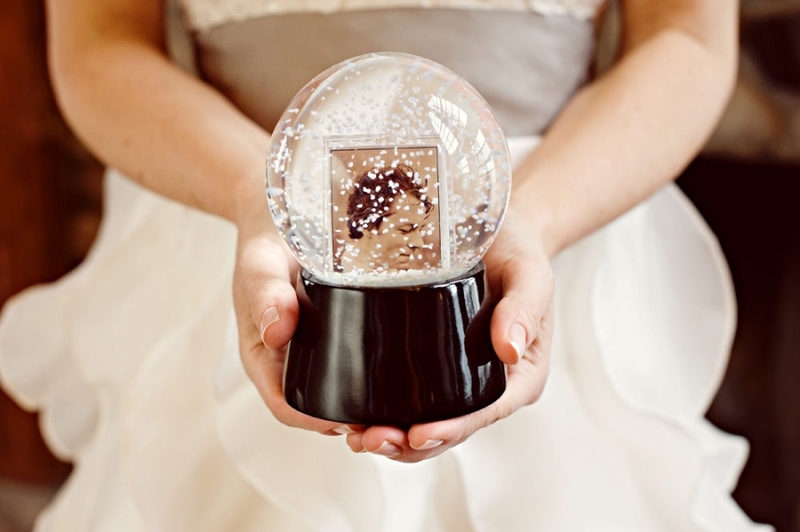 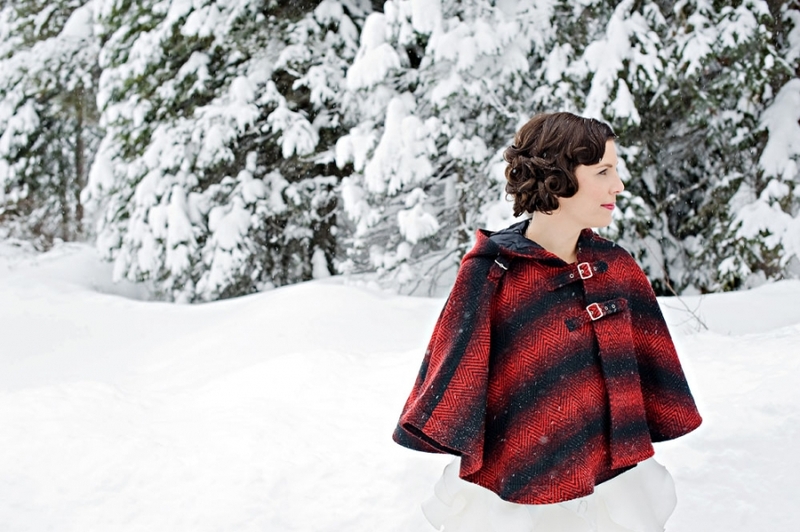 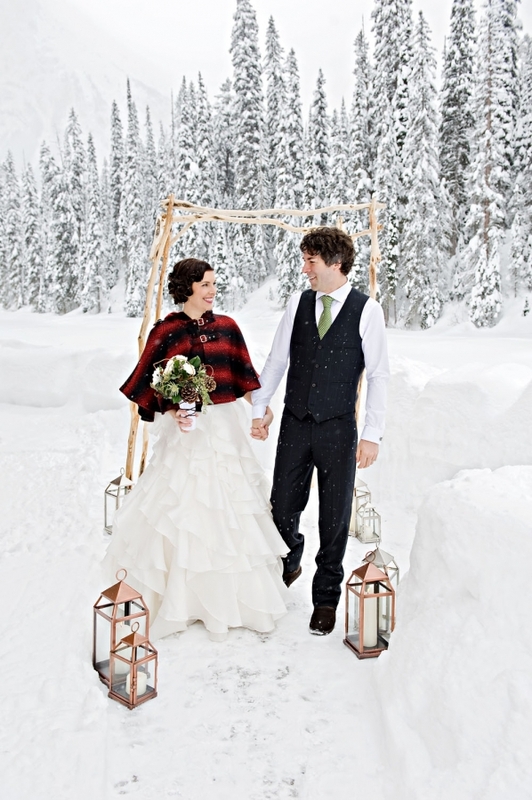 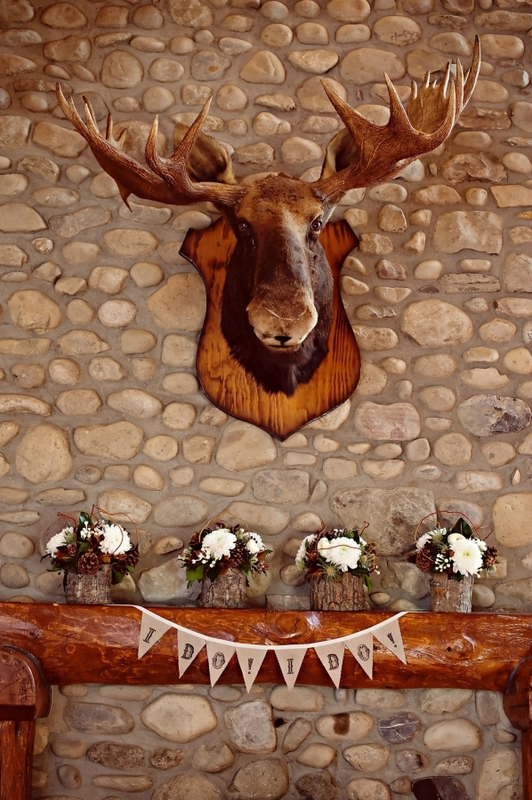 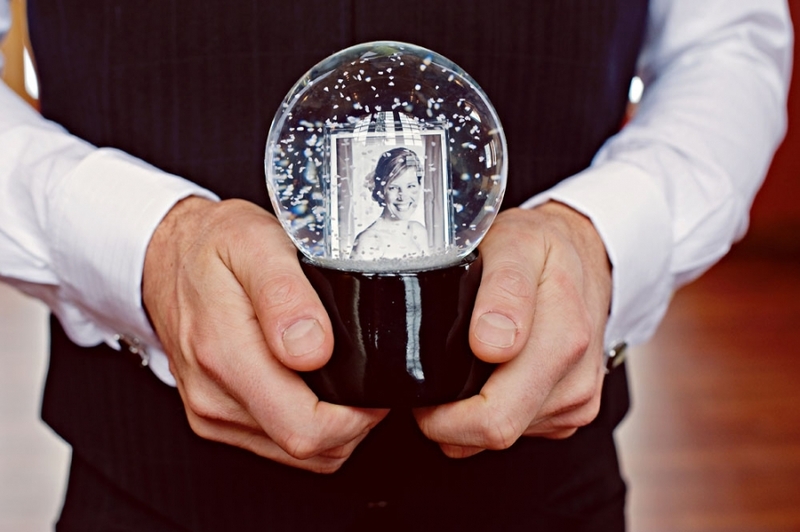 It was there that I shared my vision for a cozy, winter wedding at Emerald Lake Lodge. 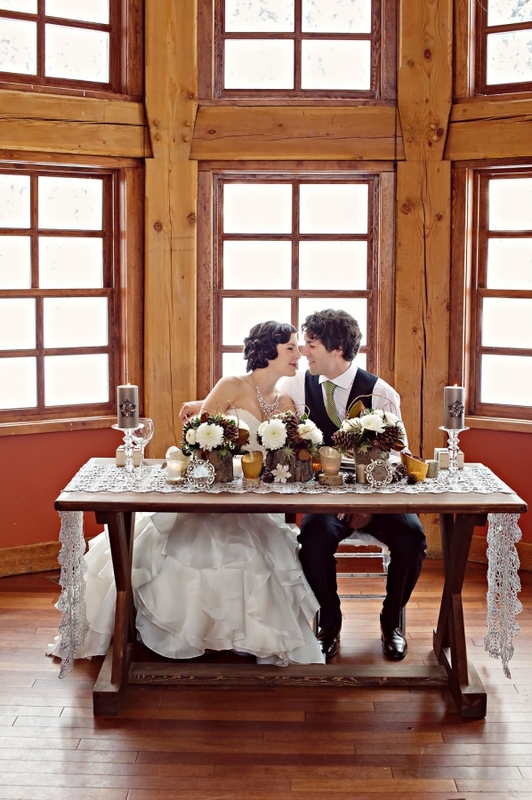 It was also there that I met Orange Girl and we collaborated to recreate my booth as a styled shoot. 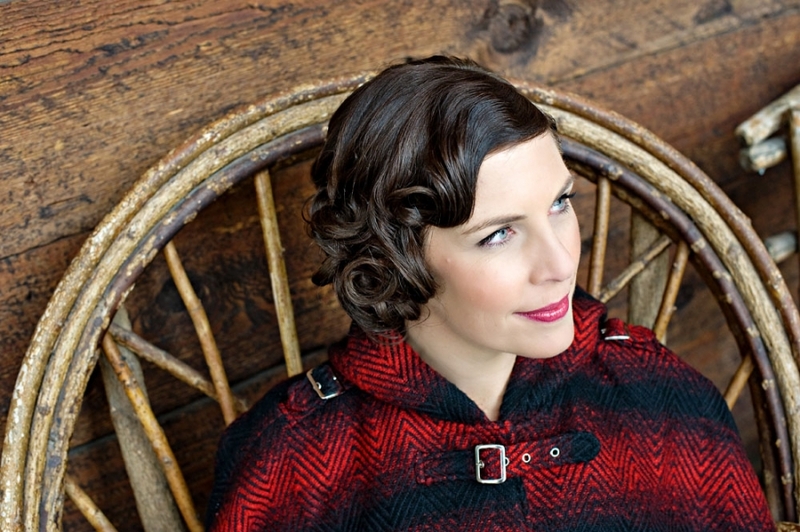 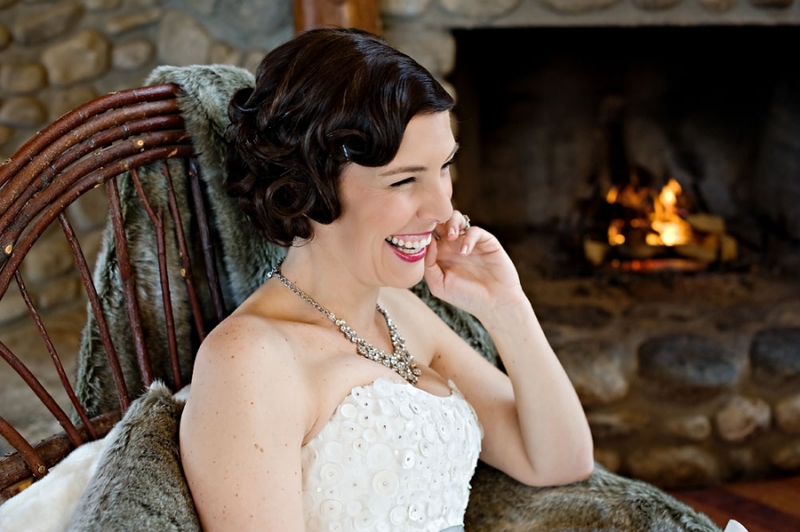 This was to be my first styled shoot, ever. 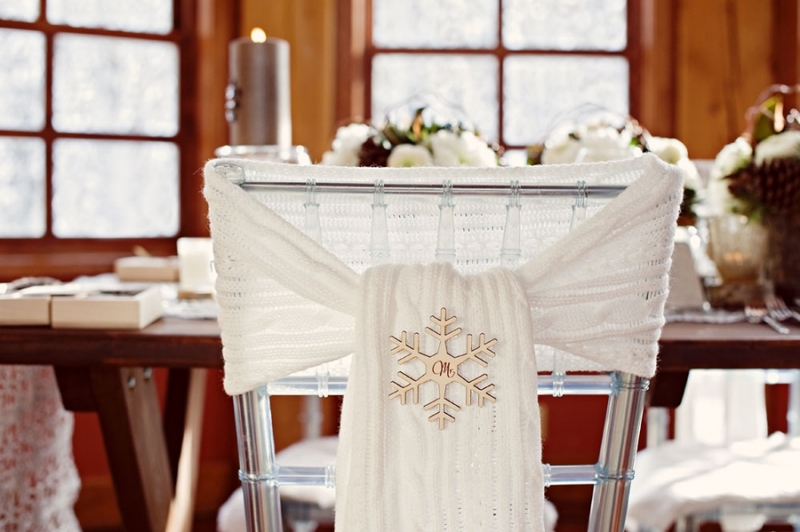 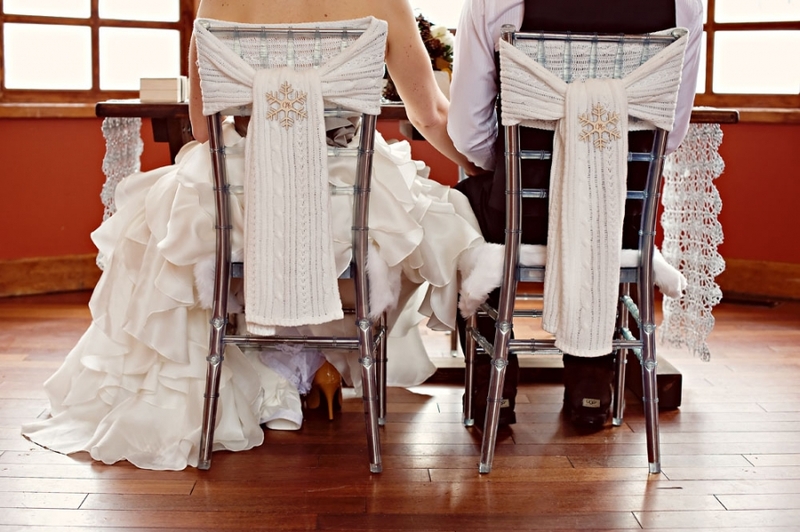 At the time, it seemed that ‘snow and ice’ themes of frosty blues and white were popular as a winter wedding theme. 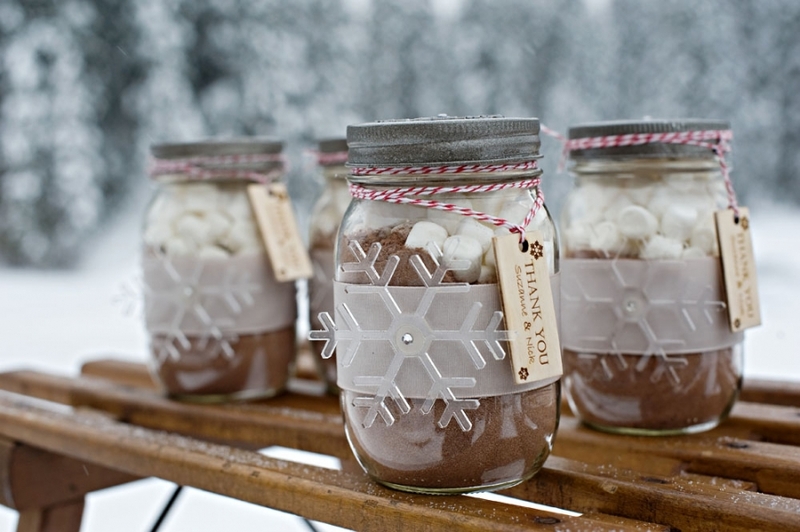 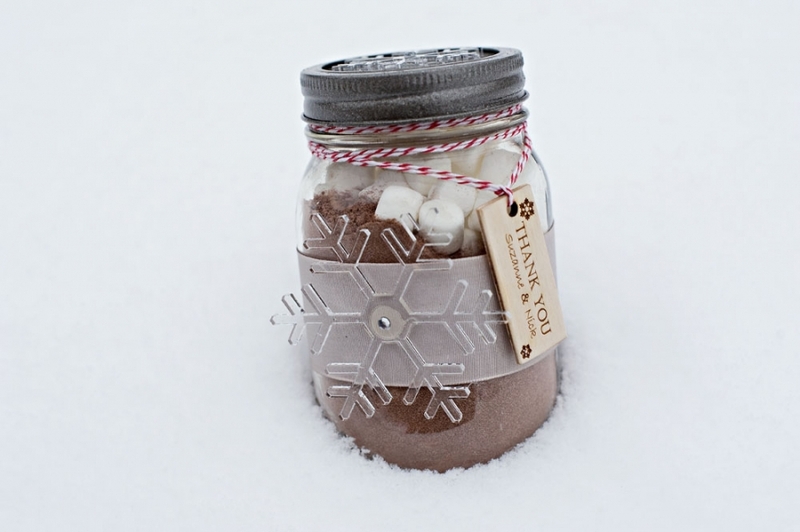 For me, the warmth and coziness of winter are what appealed to me; roaring fires, hot chocolate, smores and luxurious blankets, and so, this is what I had to create. 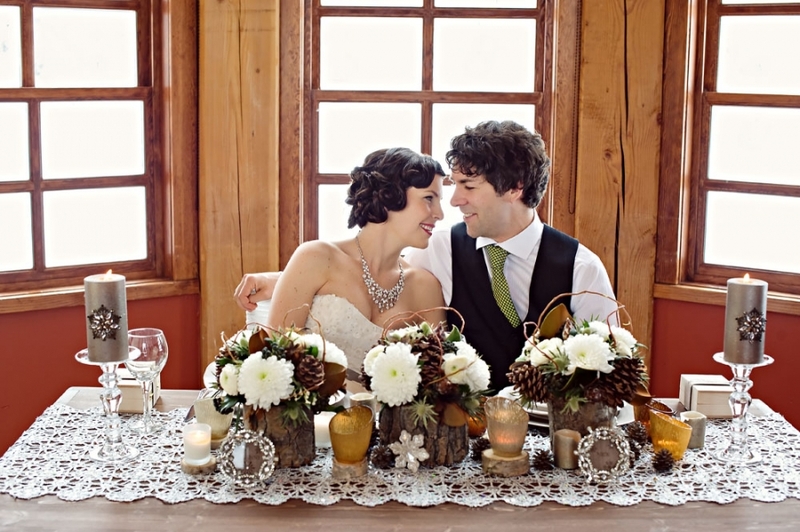 Leo (former owner of Willow Haven) created floral artistry that was perfectly suited, and the photos were gorgeous. 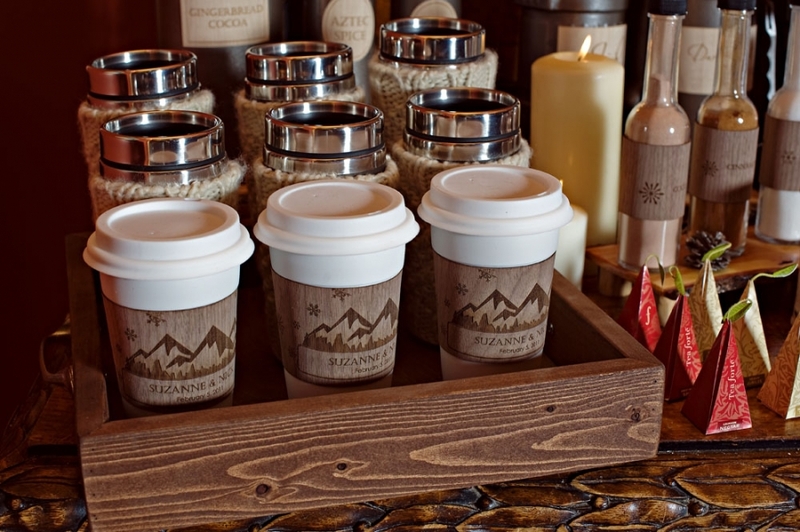 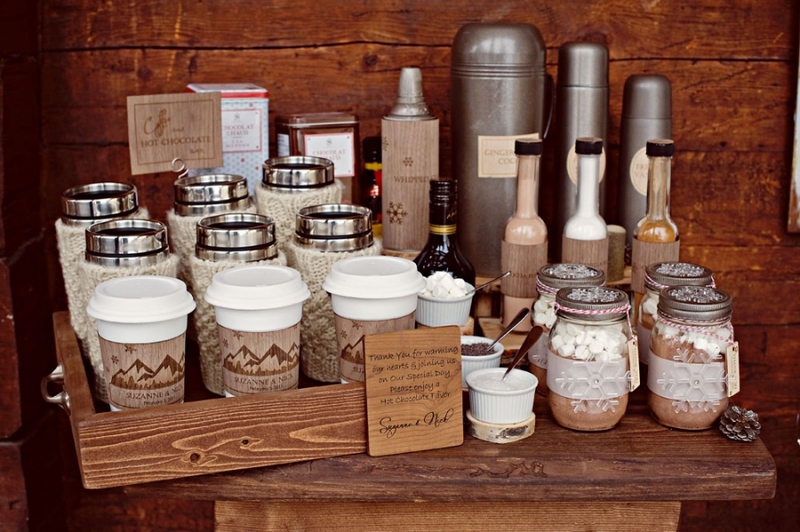 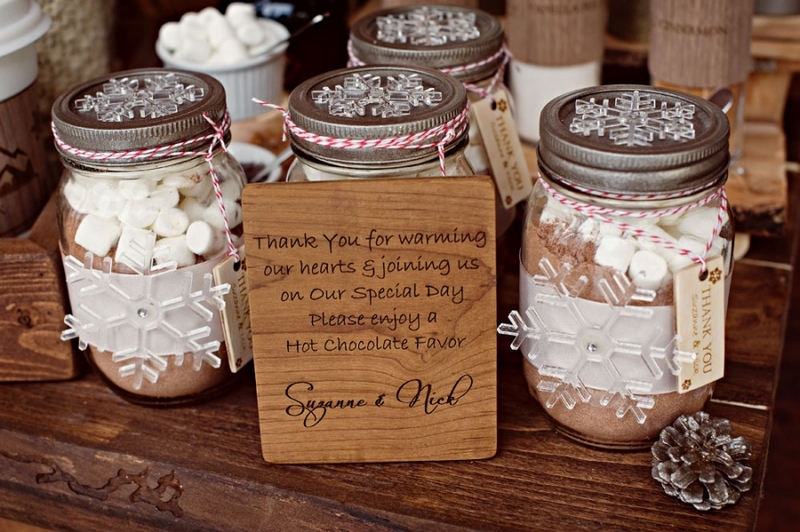 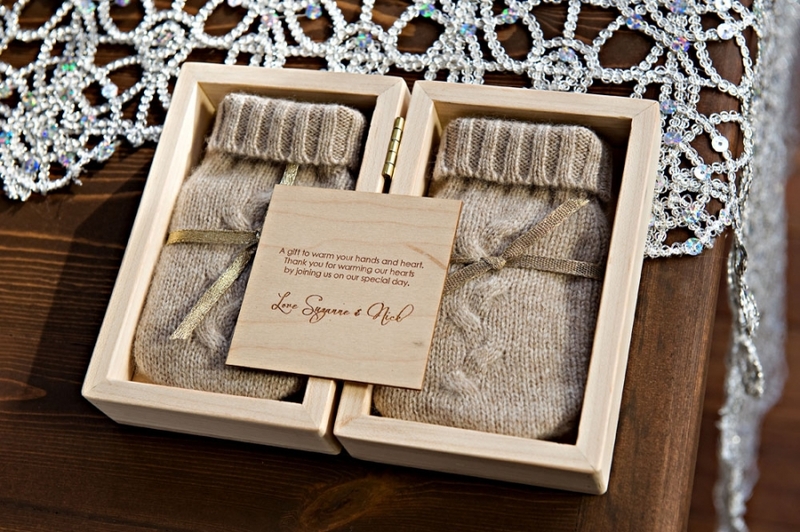 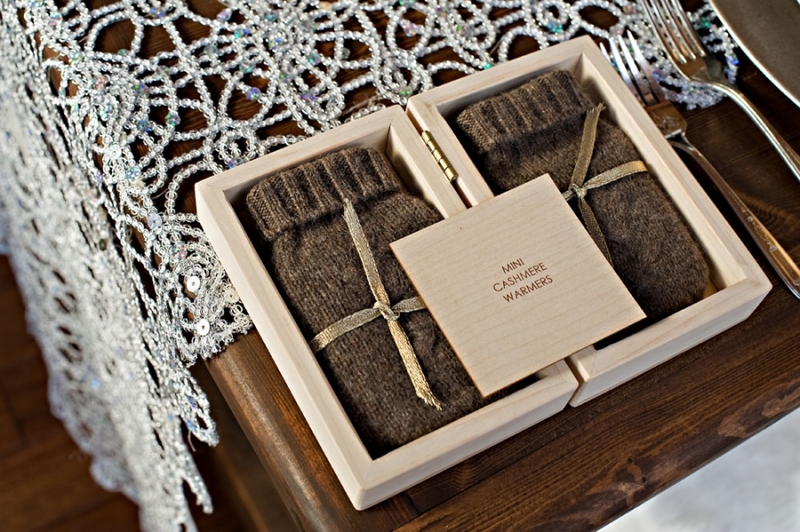 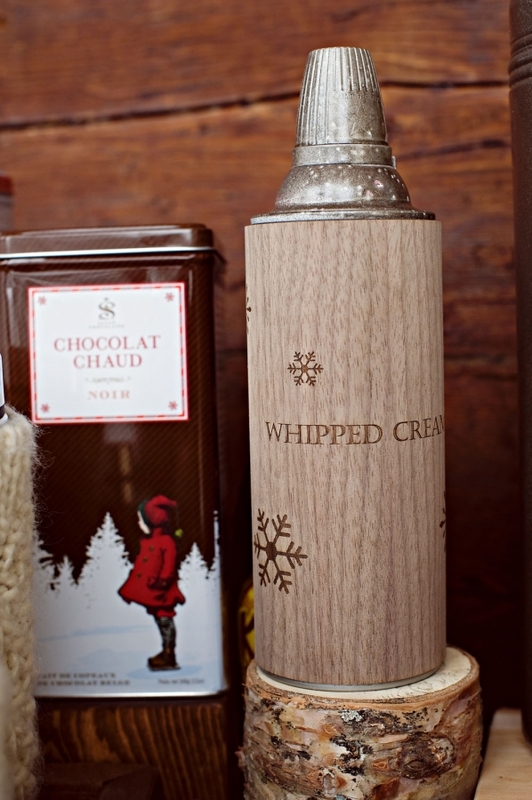 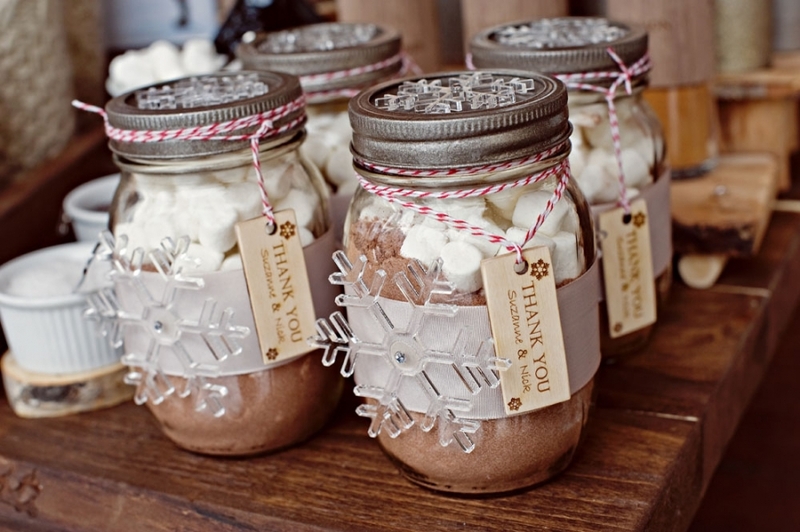 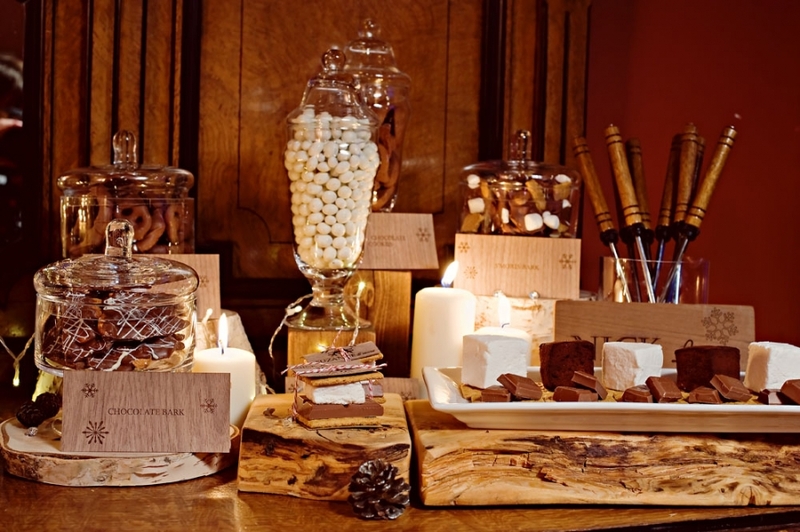 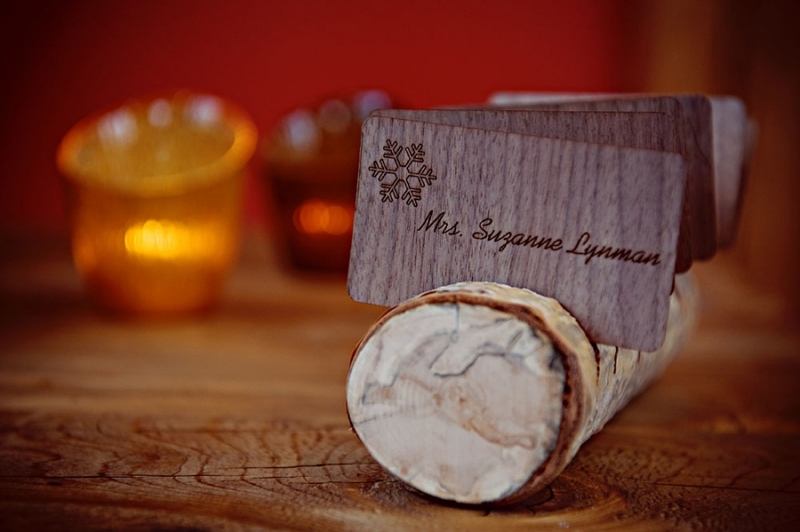 The month leading up to the wedding show, I worked on creating all the personalized details; hand-crafting things like maple wood boxes to hold cashmere hand warmers, personalized wood wrappers for smores, wood letters, and signage, mason jar hot chocolate favors and a decadent hot chocolate/coffee bar. 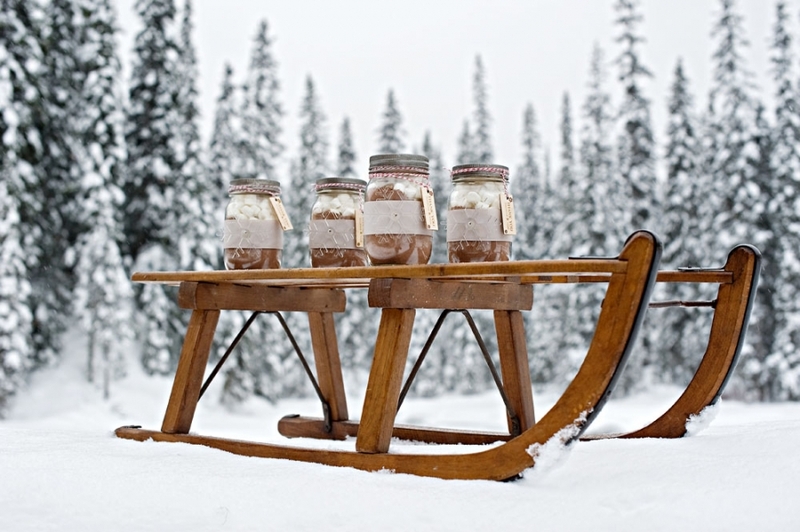 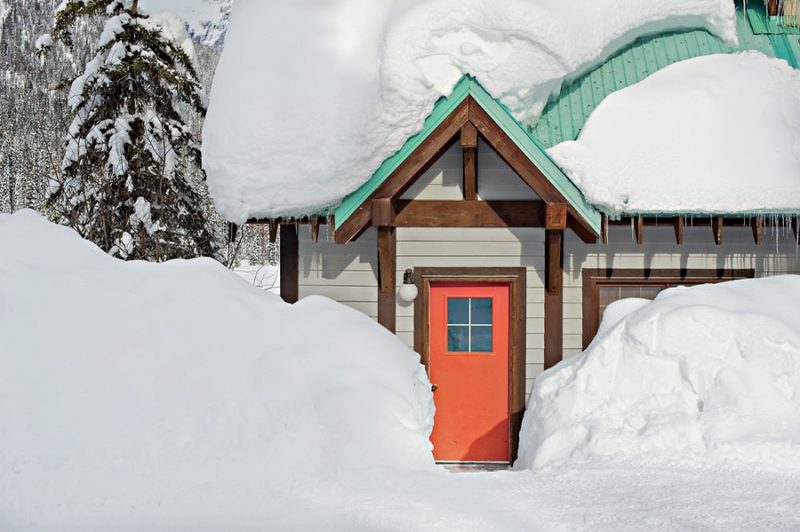 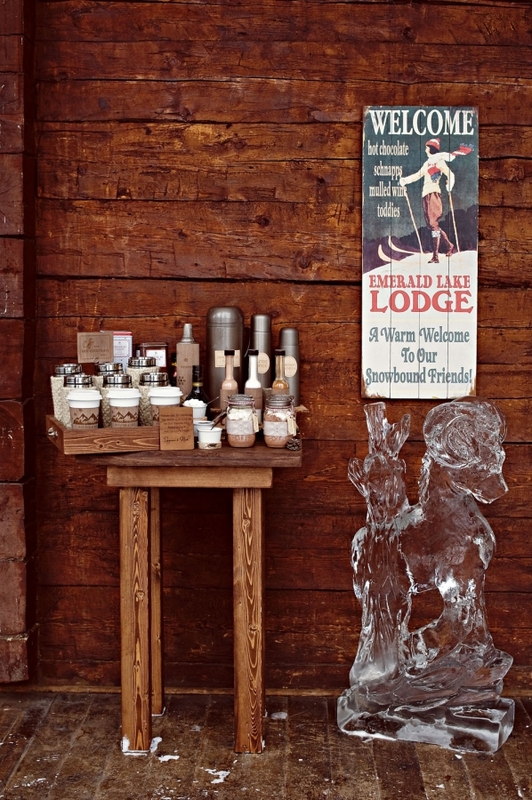 Emerald Lake Lodge is as close as you can get to a winter wonderland paradise. 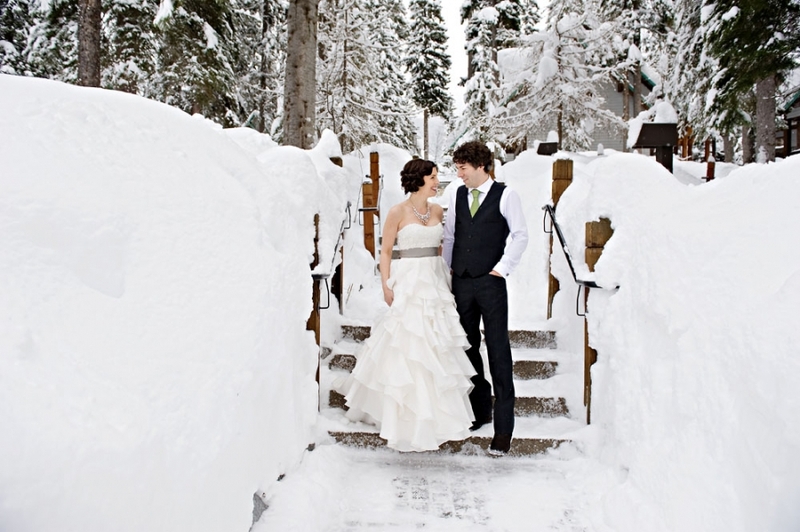 Saying you can count on snow at Emerald Lake Lodge in February, is like saying peanut butter and jelly doesn’t go together! 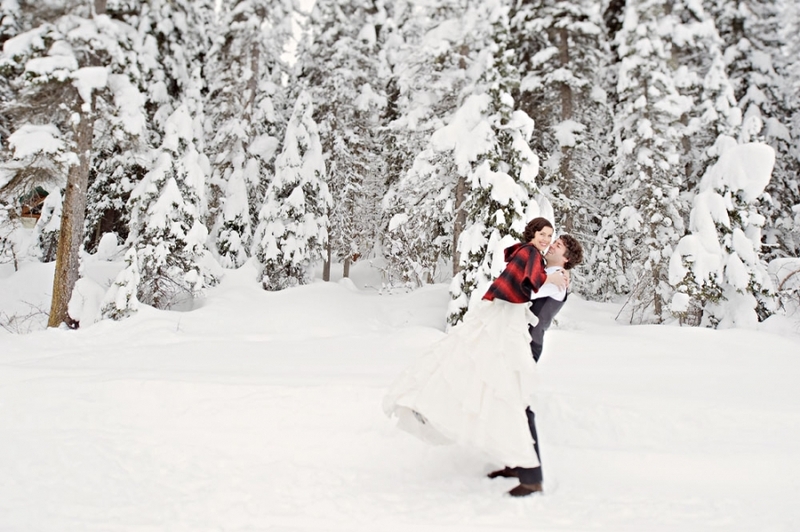 True to its history, the snow was simply magical. 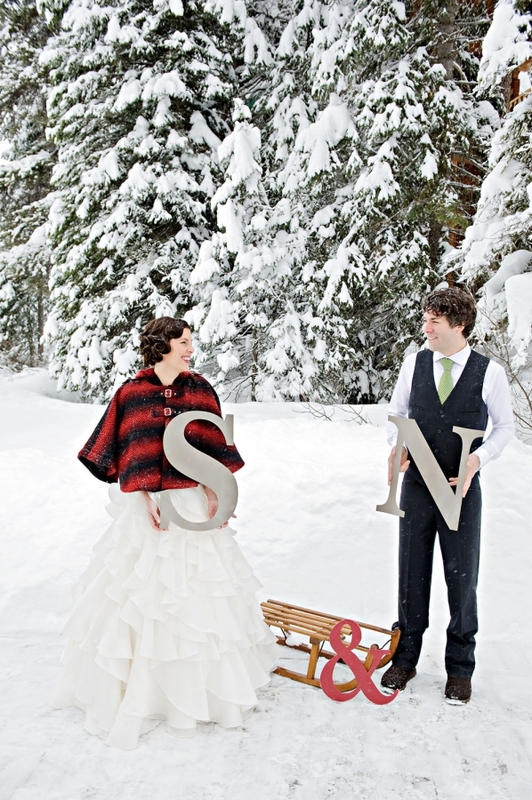 In fact, a large snow storm in the area the night before, left the highway covered in snow and ice. 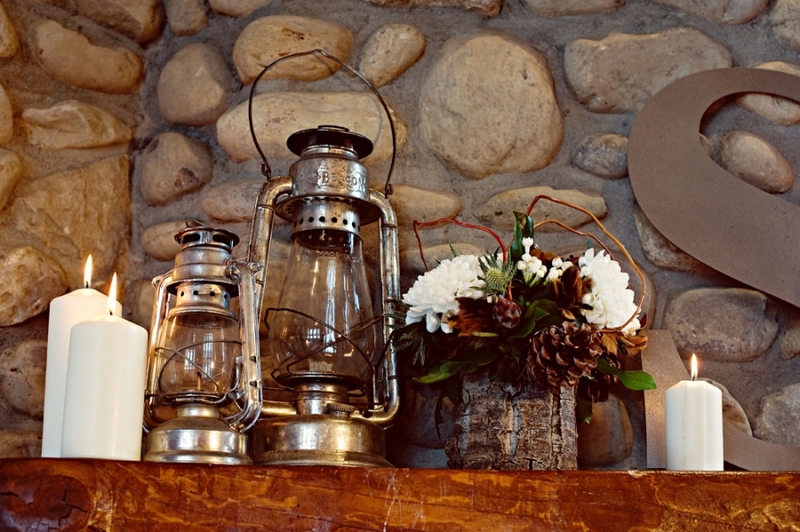 To say it was treacherous sounds dramatic, but when you’re hauling a large trailer of decor, wavering behind a pickup truck on ice-rutted roads and traveling at slow, knuckle bearing speeds, another word doesn’t come to mind. 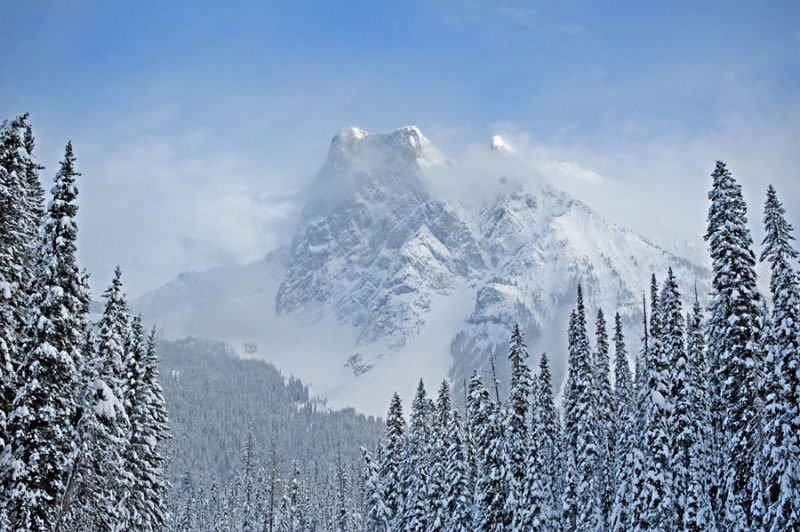 Turning back and not doing the shoot did come to mind, but fortunately, after Banff, the roads improved considerably and we were welcomed to winter paradise! 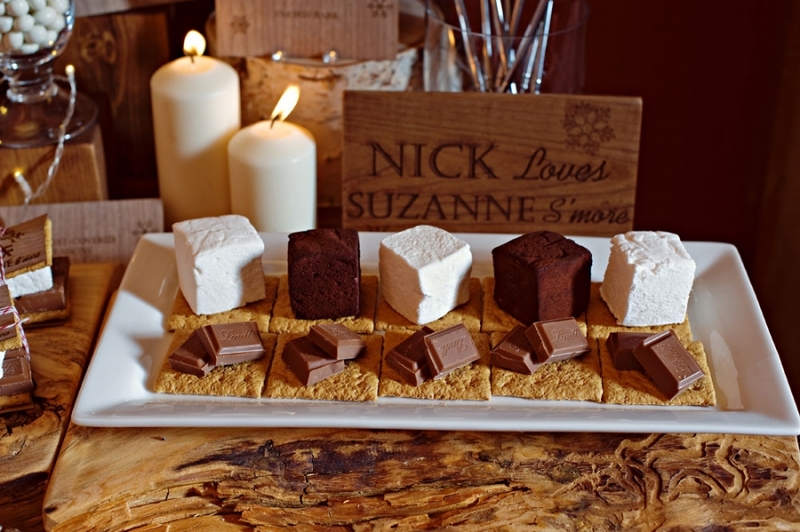 I’m so glad that I didn’t turn around as this shoot was featured on Style Me Pretty and one of the photographs (the bride holding the personalized s’more wrapper) was featured in Martha Stewart Weddings Magazine and later on their online blog! 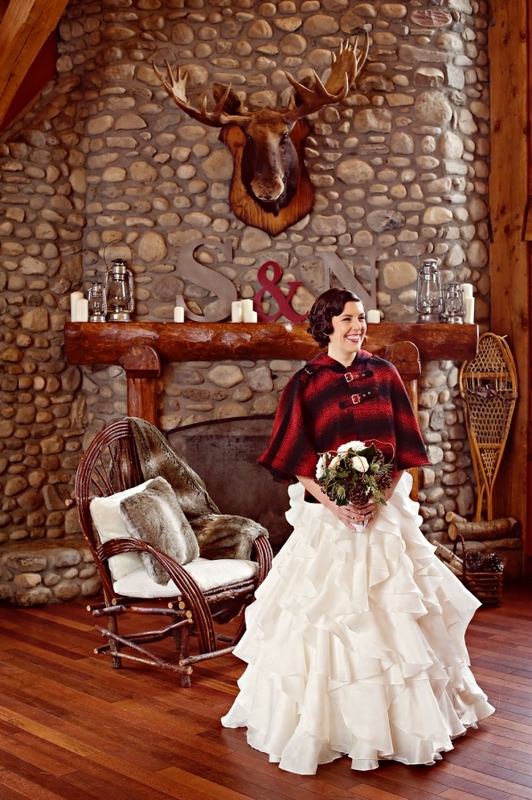 What an honor and an amazing experience! 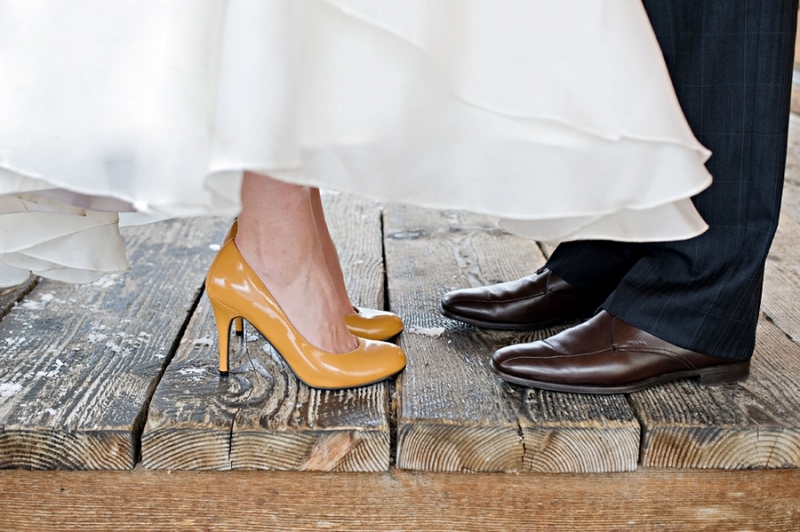 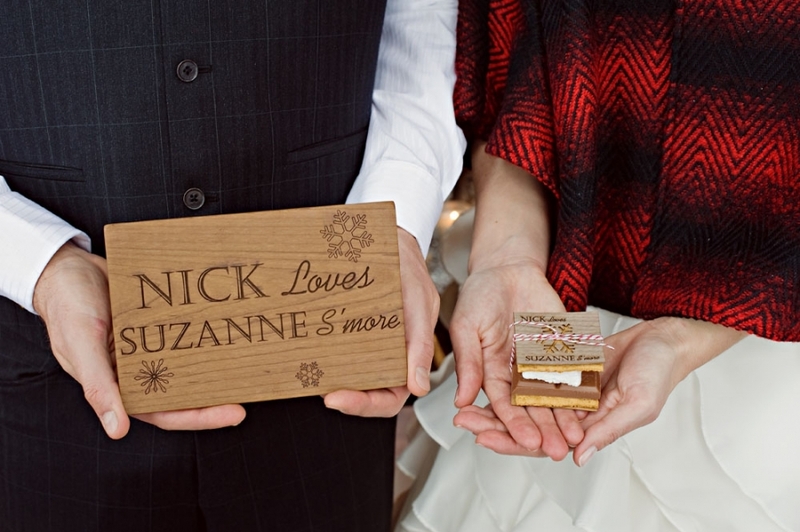 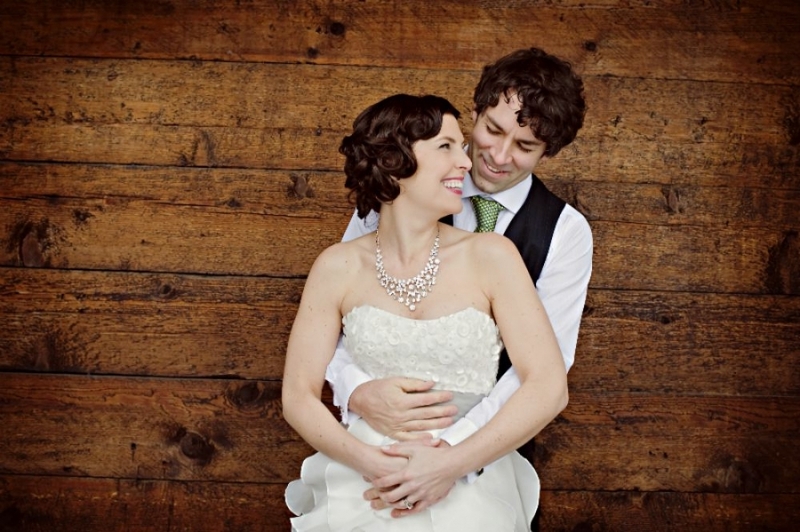 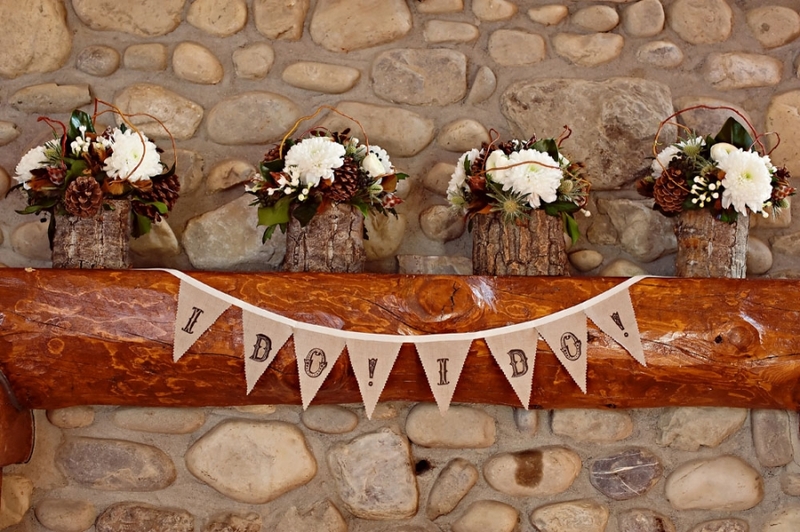 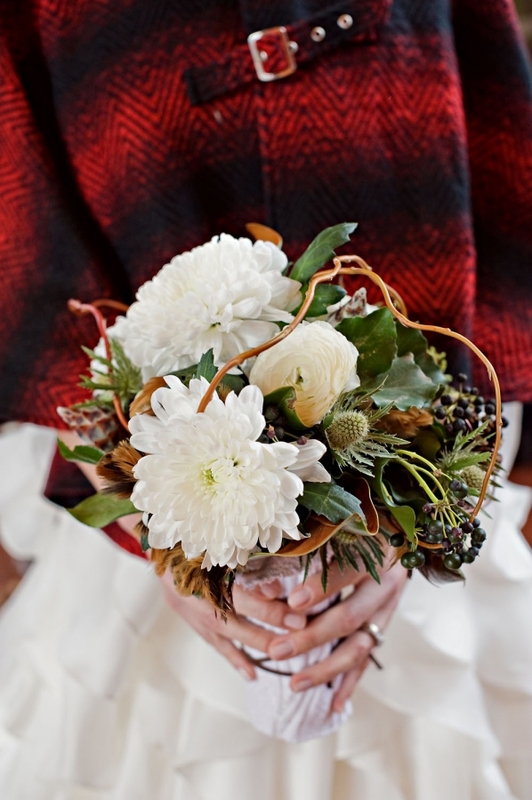 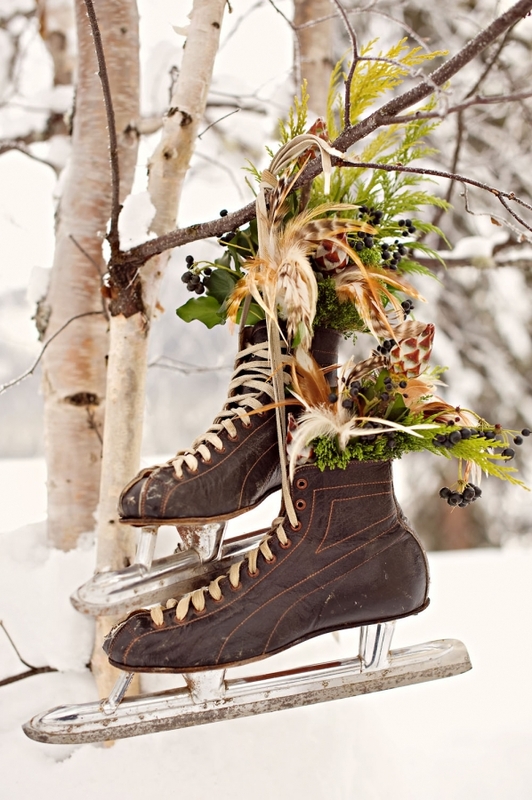 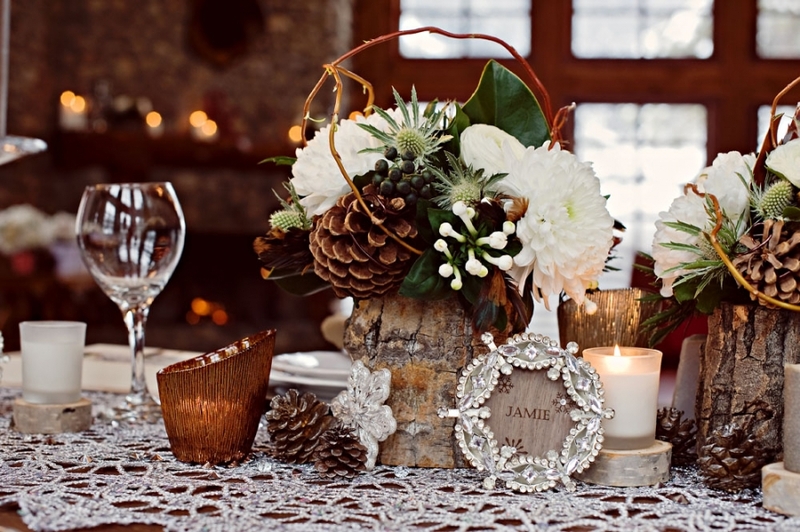 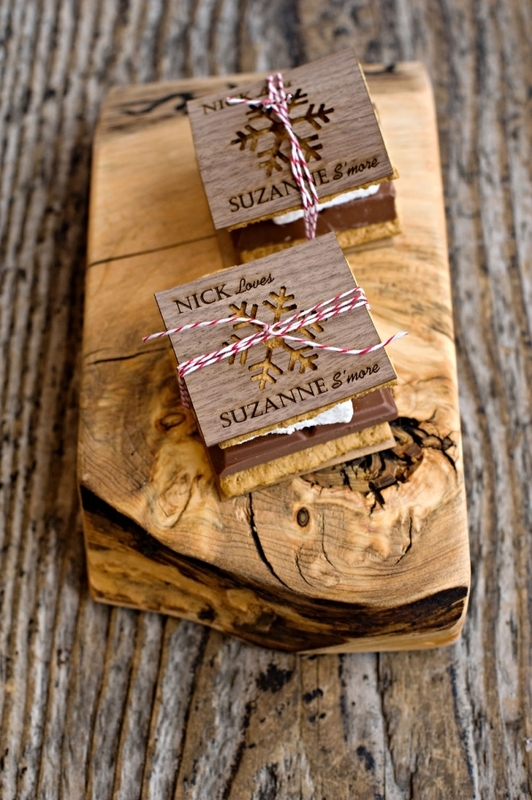 Concept, Design and Styling: Naturally Chic; Venue: Emerald Lake Lodge; Hair and Make-up: Stephanie Roy; Flowers: Leo of Willow Haven; Wood details, favors, hot chocolate bar and signage: Naturally Chic; Models: real-life couple Suzanne + Nick, Photographer: Orange Girl.